There is still one week until the 5th of September. Still time for submitting your ideas for the supplemental wallpapers! More about how and where to contribute to the supplemental wallpaper you can find on the wiki. The last weekend the 7th edition of FrOSCon happend, and I was there for manning the Fedora booth, organizing the Fedora track and give an Inkscape workshop. For the Fedora booth was not so nice that we was to few people, especially we had also the DevRoom with an track about packaging. Nevertheless we handed out app. 200 DVD and had still a lot of conversations. For the DevRoom, I think it was a good idea to do it with other distributions together. We should do that maybe next year again. We had app. between 15- 20 participants in the talks and workshops. More is I think only possible if we market it better and for that we should next time the program have earlier. On the Satruday evening ther was the famous Social Event the barbecue in the yard of the university. And there was a “Spherical Cow” spotted! So we had a lot of this, what they call beer there and of course some sausages and steaks and conversations. On Sunday it was harder for Sven Lankes and Michael Spahn, because the had to handle the booth mostly alone as I had my workshop on that day. But we still managed everything. And after an horrible trip home I am back now, and can get back to work now. P.S. we had a little collegue at our booth and he got in a mysterious way missed in the night from Saturday to Sunday. If you see the little Tux, just give notice, his owner misses him really. 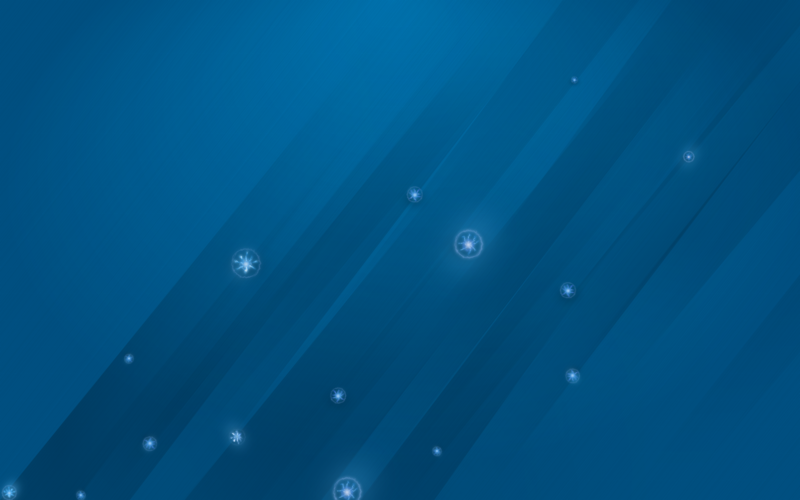 Fedora brings in addition to the great design standard wallpaper always supplementary wallpapers. That wallpapers are collected from the community and the best 15 of them are chosen from the Design Team and packaged. Now its time to collect that supplementary wallpapers for Fedora 18 “Spherical Cow“. Must use a format that can be read by software available in Fedora Package Collection. Preferred image formats include SVG and PNG. Master files, which may be further edited, should be maintained in non-lossy formats. Preserving vector graphics, raster layers, and channels is important for such materials. Originals for landscape formats must be a minimum of 1600 pixels wide and 1200 pixels high. The larger the better. Photographic submissions should be made at the highest resolution the camera is capable of. Should be provided in a 16 x 9 aspect ratio when possible. No watermarks, signatures, photographer/creator names, or messages may be included in any part of the work. However if the license allows, and the photo is compelling enough, we could remove watermarks. Must be covered by the Contributor License Agreement. We cannot accept contributions from individuals who have not signed the CLA in the Fedora Account System. The CLA allows us to properly license artwork submissions for distribution with Fedora and other Fedora projects. We merged Mizmos Steel Background with my spherical Nebulas. It looks beautiful now, from tha far it looks a little bit like snowflakes but it are definitly Qubits Martin already packaged the background and itÂ just needs some reviews. There are only a few weeks and then one of the coolest FLOSS events in Germany will happen. Fedora will have an booth and an special track there. I putted the talks for the special track in the FrOSCon system now and the are published in the FrOSCon program now. We will share the room with other distributions and concentrate on the topic packaging. Myself will talk about Fedora EPEL and after all talks there will be enough time for learning packaging in a 3 hours workshop. All talks and lectures will be held in German or English, depending on the audience. Except the one for OBS because Michal dont speaks German. So if you are interested in that topic step by Fedora has room C130, but you are also welcomed on the Fedora booth. As I am running since a month a little campaign, its time to look for the results. Friends of mine started a campaign to collect money for new hardware for me and as I am feeling not so well accepting such gifts, I decided to draw for each 10â‚¬ a clipart and upload it to the OpenClipartLibrary. That means they are public domain then and useable for any purpose. So thats what I am published last month. So that are 30 cliparts, so enjoy them. Right now I think it was a little bit stupid idea as I need for each between app. 3-4 hours to draw it. I didnt think that the sum on the pledgie will so fast growing and I have to draw so fast. So it will take me a while to draw the cliparts for the sum which is donated right now. Especcially I want not upload cliparts with low quality. But many thx to all donators (known and unknown) I am sure, I will catch up with drawing soon. P.S. if someone is out there interested helping to make the service OCAL provides better, there is a Hackfest planned for September because right now, the loading times of OCAL are horrible. A german floss news page wrote yesterday that Fedora 18 has his shape now. What it still misses is a face and thats not so an easy task with an name like Spherical Cow. Some might read Mizmo’s post about the things that happend yesterday arround the design for Fedora 18. We had yesterday a little brainstorming what to do and it turned into an hackfest and things moved forward. There are some ideas for the design for “cosmic cow”, you can all see them in the post from Mizmo. But I like to talk a little bit more about mine. In Vienna I saw at the Fedora booth the game OSMOS running, I dont know whats the game about but it creates beautiful spheres and I saw them and thaught thats how spherical cows look like. Gergely took a screenshot of some of them and reminded me yesterday on that idea. So I tried yesterday to create similar spheres with Inkscape. My creation turned out a little bit more “electrical” looking, but thats not bad because electricity is power and Fedora has power. So thats the status now and right now, I am unhappy with. Especially with the background which contains simple formulas from quantum computing (which should be a cow) e.g. of a qubit. I am also unhappy with the colors. So maybe someone has a idea which brings me forward. You can find the source for playing with it on my fpo account. FrOSCon 2012 – Search for talks! End of August there will be the 7th FrOSCon in St. Augustin near Cologne/Germany. Fedora will have a booth there but still I search for personal to man it. Until now, we are only 2 persons for the booth, thats definitly not enough especially as I have an workshop with 3hrs length in the program of FrOSCon. Christoph also requested a room, like last year where we can have ur own program with Fedora related talks. To make that happen we would need at least 5 or 6 talks for the day we have the room. So if you have something interesting to speak about, and I am sure there is a lot of new things arround Fedora to speak about. FrOSCon is definitly the target audience for Fedora, people with interests in programming and higher level of system administration and btw. the Koelsch & Barbecue party in the evening is famous. So if you interested in manning the booth or deliver a talk/workshop, add your ideas to the wiki page or speak with me. Some of my friends decided that I would need a new laptop. So they started a campaign to collect the money for a new one. That is indeed true I would need a new one, since my sheeba broke I take one of the company, but thats not always possible and then I use my old one but old means old. But people who know me, know I feeling not very well accepting gifts. So I decided to do something for it. I will for each 10â‚¬ that will be collected make a clipart and put it to the OpenClipartLibrary what means it will be public domain. Means on the end 90 new cliparts available there. As there is already some money on the moneybox, I started yesterday uploading a clipart set. Hope you can enjoy them, you can do whatever you want with it. P.S. a few minutes ago I got a mail, someone asked me, if he can use the map clipart for an geo tagging app. Of course you can! Last week I was in Berlin for LinuxTag, “Europes leading Open Source Event”. But I wasnt alone, there was other Fedorians too and I saw also some “Beefy Miracles”. As always the event begins with the travel to it. This year I had bad luck with it. First of all I couldnt go by car so I had to take the train. And that is with all the stuff really hard, not the sitting in the train but moving it from train to train or from the station to the venue. So as I arrived I really sweated especially I had to take a long detour for the construction areaÂ opposite the fairground. After the preparation of the booth we all went to our accommodations. The day ended for me with some beer and a little barbecue. Wednesday is allways a day with a lot of people wearing ties so more business as community. This year there was definitly more people at this day as last year. Next to the Fedora booth was Centos and a HotDog Place, so we had some vouchers for HotDogs because we couldnt handout real Beefy Miracles. A guy named Michael Larabel found them really tasty. The wednesday ends for me tradionally on the GUUG evening. On thursday and friday the halls begun to be more crowded. Every media I brought to Berlin was gone friday evening, we had only 1 DVD left saturday morning. I used the time in Berlin also to speak with some people about the upcoming Linux Color Management Hackfest in Brno. Saturday in the morning, I had a shift as session chair and in the same track together with Kai-Uwe Behrmann our talk “Bring Color To The Game“. The honor on this day goes to cwickert, who presented Fedora in a Beefy Miracle costume on the Projects Fast Forward and also took part for Fedora in the Distro Battle, a longer track where different Linux distributions can show, how tasks in with there distribution can be done. I had to go this year a hour before the LinuxTag ended, for fetch my train and the travel home was again an adventure with delayed trains. One of the good things that happend on LGM, was that Richard Hughes and Kai-Uwe Behrmann found time to speak with each other and found a way how they can work together in the future. That brought a new spirit to OpenICC and made a lot of people happy. Since then there was a lot of work on metadata key and also on some discussions about color managed printing. But this is mostly theoretical work and both like to write also code. So time to move forward there also. There was since a long time the idea to an Hackfest on color management stuff. On LGM we had all three together also the time to speak about this topic, and we all had the feeling that would move color management on the free desktop forward. So now we made some plans and the hackfest will be in November. As you can see Kai-Uwe and also Hughsie blogged already about it. The hackfest will be from 16th-19th of November 2012 in Brno, RedHat offices. There is already a wiki page for the hackfest. Planned is to get some experts in color management together with authors of applications, also working color managemed printing, move some browsers forward on this topic and also work on color management in toolkits. Some people from QT showed already interest. So if you are interested, contact me or Kai-Uwe or simple join the #openicc channel on freenode. Saturday the 5th of May was the last day of Libre Graphics Meeting and also of the Linuxwochen Vienna. It was the day of Beastie and Puffy invasion, because the european BSDday.eu was also in the venue. In the morning I had again a Inkscape workshop on the Linuxwochen, which was better visited as the one on the day before. So I had no time for the talks at the Libre Graphics Meeting. After a short lunch break a second workshop followed. It was a workshop about the whole workflow for preparing magazines/books and of course working with free software. Planned was to prepare a book with all the paper of LGM in that workshop, but I only got 3 of them. So on the end it was more a BoF-session about all the work which have to be done preparing a magazin or book. Thats already a lot, book sizes, book layout, font decission and all that. The day ended for most of us in the same restaurant we went on tuesday evening, so that meant “Schnitzel” for the most of us. This time the crowed was bigger as in tuesday so we needed another table extra. But we stayed not to long as some of us, already started there travelling home directly from there or at the next morning. Nicu managed already to upload most of his pictures and Mizmo did also made a bigger upload. For Taticas pictures I think we have to wait for a few days, she is in “zombie mode” after her arrival at home yesterday evening. Friday the 4th of May was the 3rd day of Libre Graphics Meeting and the 2nd of Linuxwochen Vienna. The day of the goat invasion or the day I had not really fun. Why, I missed all the talks I was really interested in. For example Johan Engelen with the development of Powerstroke in Inkscape. I missed them because I had at the same time an Inkscape workshop on Linuxwochen. The workshop wasnt so crowed as they normally are. Because it was friday in the morning, a lot of people have to work. But there was no other time slot left. So I couldnt enjoy all the interesting talks from the GIMP world. At 3pm was a bigger slot with an panel: Doing Design In The World Of FLOSS which Mizmo, Allan Day and me was planned for, Peter Sikking joined us also. The problem sitting on the end means, very often the points are taken. After that I skipped one talk and watched later Nicus talk about Free Culture meets Free Software: Wiki Loves Monuments and after that a video presentation from Bassam Kurdali about the Tube movie project. I had an conversation with Bassam a week before LGM started about that, because there was the idea to do a free movie session on the Linuxwochen after party on friday. But before we went to that, there was another q/talk planned like the day before. This time about open hardware, Pete Ippel talked about the MilkyMist One, Richard Hughes about the ColorHug and normally Mickey Lauer was planned but he didnt make it, so Zoltan joined the round and talked about the Nanonote. After the q/talk I played again the role of a tourist guide and we went to the MuseumsQuartier. That is one of the places I like most, there is a lot of art and its also a place for Geeks as there is the quartier 21 for digital art and life style. The Linuxwochen after party wasnt invaded from LGM people like Nicu wrote, it was actually planned this way. Normally the after party its just a bigger table with arround 20 people as the most speakers are on there way home after there talk. Thats a problem of a longer event, you will never get all together. I tried to show some free movies, but it was already to late for that. On the social event ï»¿Elisa de Castro Guerra went to me and used one of the few chances to speak with me, it was actually funny, because she works also for Doudou Linux, where I did last year made a submission to the Logo Contest and we had time to talk a little bit about it. Later we went for a couple of hours to the Metalab, Viennas hackerspace, which isnt far from the MQ and then home. May the 3rd was the second day of Libre Graphics Meeting and the first one of Linuxwochen Vienna. So in the foyer of the UAS Technikum opened the exhibition area and also DrupalDay.at and the first talks of Linuxwochen helped to fill the area with people. Of course there was a Fedora booth at the exhibition and it was the biggest one. I brought the table cloth and one of the rollups to Vienna, and also what was left from FOSDEM on stickers. Mizmo brought also some stickers and flyers and also some DesignSuite DVD. Zoltan brought cheatcubes, DVD and an OLPC. So the booth was well prepared. The Fedora booth was also photographed from the Der Standard and published on his online platform. As you can see not only the both was photographed, also Taticas keynote was topic. She had later an interview with Der Standard and got there own article. The topic on migration to Linux is really from interest for the people in Vienna, as the migration in that city failed and they have to spent now again every year a lot of monâ‚¬y for licenses. On the end the topic was from so much interest, that the organizers decided to give a second slot to Tatica speaking about the situation arround Open Source in Latinamerica. Together we managed the spontaneously additional talk. On the Libre Graphics Meeting side Mizmo and Emichan had their talk: An awesome FLOSS design collaboration workflow presenting SparkleShare, Magic Mockup, GlitterGallery and DesignHub. I didnt see a lot of talks on LGM on this day, but this one I didnt miss. The day on the event ended with an traditional q/talk from q/uintessenz. The topic on that panel discussion was “Open Content, Free Culture” the guests was Pete Ippel, Ricardo Lafuente and Ana Carvalho who work together on Libre Graphics Magazin and the guy who does always Free & Open Movie Nights, I think he is called gnokii So an second additional talk at this day. We didnt went out for dinner this evening and I prepared a dinner in our appartment, “Zwiebelkuchen” and 2 nice bottle of wine. The 2nd of May was the first day of the 7th edition of Libre Graphics Meeting, I by myself call it the “Color Freaks Day” because most of the topics at this day scheduled talks was about color management. But the day started for Tatica and me with a little shopping trip. As I said in the last blogpost, our appartment was at a really cool place and we had not only cafes outside, we had directly opposite an supermarket and 20 meters away the next one. So we managed to get things like coffee, fruit juices, coffee cream and milk. And there was even a bakery so there was fresh Croissants at the breakfast. After a cup of coffee we all went to the venue, which was a 20 minutes walk. As I mentioned before, the first day of Libre Graphics Meeting started with a lot of talks arround color management topics. The first talk was Richard Hughes: ColorHug – The Open Hardware Colorimeter, followed by Kai-Uwe Behrmann: Evolving Concepts for Colour Management, Color Management in SVG2 from Chris Lilley from W3C, and then again Kai-Uwe Behrmann with Colour Management a la Greek and Richard Hughes: colord – Linux Color Management Framework, One Year On. Last in this round was myself: Taxi DB – Call A Cab To Bring The Colors. What we learned at this day, is that there is not really a good documentation for users about starting with color management, so many beginners have problems. Hopefully Kai-Uwe Behrmanns and mine talk at LinuxTag will helpful for that. When I understood Chris Lilley right then naming of colors in SVG2 will be possible so then transferring spot color names will be possible. For me it was the chance to introduce Hughsie to TaxiDB. He showed interest in using it but not in the way we thaught, but we managed to find a way over the week, using it for his needs and also for what I thaught TaxiDB should be, so a win-win. On the end Richard and Kai-Uwe managed to talk with each other and there is a new begin on OpenICC. The day ended for us with an picnic, Mizmo, Emichan, Tatica and me cooked and we went to the Danube channel, which was also not far away from our appartment. The crowed became again bigger as Allan Day, Garret LeSage, Jakub Steiner, Jiri Eischmann and some others joined us. Was really a nice get together. I should call this day the “cat herding day”, because it was the day of most of the arrivals. Was also a day where I had to learn some things, first of all check your phone that it is working and the second if you meet on a subway station, tell the people they should not get out and wait downstairs, otherwise its really hard to find the person you like to meet. But we managed the fetch all the people we expected. First arrivals was Nicu and Emily. Both arrived nearly at the same time but the problem they didnt know each other and in the case of Emily I didnt know the flight number she arrives with. But both managed to get to the appartment alone. The cool thing was, we had directly before our house a cafe with an “Schanigarten” so we could sitting outside drinking a “Melange” waiting for them. After they put there luggage into the appartment, we moved to the next meeting point. The next meeting point was also a cafe in the 7th district so nearly downtown, I had ordered a table there before for all of us and we had a nice brunch there. Zoltan and Geri arrived also to late at there appartment, so I was sitting on a hot chair not missing the next meeting. But that was one of the points for the brunch, I also had can the group left there fetching Mizmo and Hughsie and come later back. But they managed it in time and they went with me fetching the others. But it took us really a lot of time to find them, so no sightseeing on the rest of the day. So we went all back to our appartments and went later to an restaurant. We was really a big crowd there because Behdad, Miska, Pete Ippel and later Christian Jeitler from the Linuxwochen team joined us also. So the fedorians get mixed with other LGMers. So we had a lot of nice conversations there and Tatica realized first time how big a “Wiener Schnitzel” should be But we stayed not to long because most was tired from the travel and next day LGM would start in the morning. The sad part on this evening was that Kai-Uwe didnt join us, because he liked to prepare his slides for the talks on the next day. Hughsie was not happy about that, but we managed that both had time together later in the week. 2 weeks ago the german event FrOSCon called for talks. FrOSCon is one of the bigger events in Germany, they have a main track with talks, an exhibition with a lot of booths, and track especially for kids called FrogLabs and another part they give away rooms for projects for ther own program also. Last year Fedora had such an room and we prepared an whole day talk program with topics arround Fedora. Christoph Wickert organized that. As the CfP was opened I had a short conversation with Cristoph if we should do that again and I wrote a mail to the ambassadors list. To have an Fedora related track makes only sense when we have enough interesting talks in it. So we need people who want to participate in this or some clear statements if we should do it again or not. But anyway the CfP ist still open until 23rd of May and you can submit your talks also there. FrOSCon hosts this year also a PHP sub-conference with an extra program, there is also still time left for submissions. So day -2 for LGM and Linuxwochen ended now, most of the day I spent in trains and subways. I started today at 8am at my home for going to Vienna, first way was to Dresden and from there with the train to Vienna. We arrived short after 8pm on Vienna Meidling and after that we went to ur appartment. Tobias arrived really late and so he had only time to bring hispbagage to the appartment and then we went to the airport fetching Tatica. She came really with the last flight from Madrid, so now we sitting all in the appartment drink a glass of wine, write mails and do some work. Tomorrow (in a few hours) Mizmo and Emichan will arrive and our appartment is complete. It was really hot today and we all are really tired from the travel. This video was done a while ago, maybe some recognize the people in it. The pledgie-campaign, you can find here. It might be a “waste of time and money” for Richard Hughes but is isnt for others. The argument nobody would run “Fedora Verne” is a really funny one to me. Nobody runs “openSUSE Teal” or “openSUSE Asparagus” in fact not many people inside openSUSE knows the codename for the version. But because 11.4 was named Asparagus its got a design in that color. So as you can see what for others is just a wasting of time ist for other people a help for doing there work. The design and the marketing team can better work with an name as with a simple number. So if you go to the poll and vote, please do it not with the actual situation with that ugly submissions for the name in mind, please consider more what does it mean for the work of others to have release names. Its just a wasting of time to write such nonsense blogposts and when release names are wasting of time for Richard, so consider not to vote. For others its that participation in an open process, or can I choose the name in openSUSE or ubuntu?